The Japanese maker, Honda has recently removed covers from the new Aviator with a roar. The new model looks quite similar to the last two models like Honda Activa and Dio. However, the new Aviator shows a series of traits. It sports a fine combination of good technology and styling. Honda Bikes represent a class in the scooterette section. The technology which powers the Honda bikes is the key feature. Honda Aviator is equipped with a 4-stroke, single cylinder, air-cooled, 109 cc engine with OHC technology. The enough powerful engine generates the maximum power of 8 bhp @ 8000 rpm and the peak torque of 8.74 at 5500 rpm to give a power-packed ride. Honda claims that the new Aviator is 15% more fuel-efficient than its other models. The bike manages to squeeze out a meaty mileage of 42-45 km/l on city roads whereas on highways it delivers the dream mileage of 60 km/l but it makes no sense as nobody generally goes on highways. The Honda Aviator Features a fine range of suspensions as the front is telescopic while the rear is spring loaded hydraulic dampers to bestow a ride full of comfort. The top speed of the Aviator is 85 km/h which is astounding. Honda has confirmed the safety measures by enabling the Deluxe model of the bike with the powerful 190 mm dia disc brake at the front as well as the rear brake is 130 mm drum with the new CBS technology for more improved braking system. The new Aviator is available in two distinct variants, the standard and the Deluxe to lure the bike-lovers. In addition, the scooter flaunts in four vibrant colours such as: Royal Gold, Black, White and Red. All the colours have a significant effect. Honda Aviator Price is Rs. 53, 531* (Ex-showroom Delhi). There is no doubt that the price of the latest Aviator is very high as compared with other scootys available in the market. Honda Aviator Pictures a complete departure from the looks of Activa and Dio. The bold, futuristic design is inspired by the Fireblade with a distinct style. The use of plastic than steel in the body makes it a less bulky bike than Honda Activa. The bike is a much better option than the other two bike Honda and it has the quality to give its customer a ride they never had before. Go for the new Aviator! Hyosung unveiled their latest creation Hyosung GT650R with good pick up in the indian bike market. BMW X1 launched in Indonesia, to arrive soon in India! Indian markets are going to get the new BMW X1 compact SUV sooner by the end of this quarter. BMW group has already launched this vehicle in the month of November 2012 in the markets like China and Malaysia and now it has launched it in the Indonesian markets. The predecessor of this BMW X1 is in Indian markets from a quite a while of time and now an upgraded version is about to enter the markets sooner this year. When it was launched in the Malaysian markets, it was launched with just petrol engine option but when it came to the Indonesian markets, the country's markets received both the petrol and diesel engine variants and the same are expected in India with a lot of upgrades. This new vehicle form BMW cars has been launched in two variants in Indonesia and they are BMW X1 sDrive20d diesel variant and BMW X1 sDrive18i petrol car variant. The company claims that the emission of CO2 has been reduces and the fuel efficiency has been improved in both the variants. Thus, it is evident that the company has made some major changes to upgrade the BMW X1 to make it more efficient in all aspects. The all new BMW X1 features stunning exteriors with improved headlamps design with dual toned look that is integrated with LED ascent lights. It has also got the improved fog lamps integrated to the sporty design bumper with new design air dam. 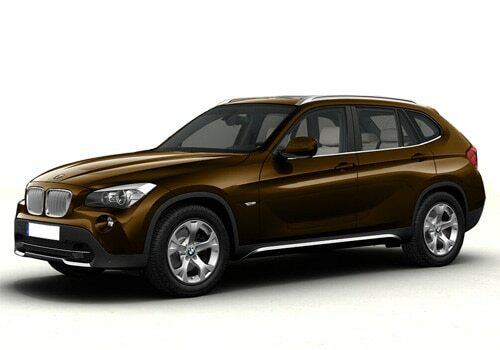 The entire exterior design of the BMW X1 is very impressive as we can see in the BMW X1 pictures. To discuss about the specifications of BMW X1, the new BMW X1 sDrive20d diesel engine has got one of the powerful engines that can make 184Bhp of peak horse power and 380Nm of maximum torque power, while it can accelerate from 0-100Kmph speed in about 7.9 seconds. It has got the top speed of 218Kmph and it can give 20Kmpl of mileage, which is impressive. On the other hand, BMW X1 sDrive18i has got a 1995cc power petrol engine that churns out 150Bhp of maximum power and 200Nm of maximum torque. However, it can give a mileage of 13Kmpl, which has been improved when compared to the older version. Customers can cheer about the fact that both these cars emits less CO2 and produce great mileage, which is certainly a great news. As far as BMW X1 price is concern, there is no word from the company regarding its price but it is expected to remain the same as its earlier version. The wait is just about few more weeks as the company might launch it by the end of this quarter. Finally the new Tata Indica Vista D90 has been launched in India with a starting price tag of Rs. 5.99 lakh. At present, Ford Ecosport is arguably the most awaited vehicles in the auto markets and it has earned a lot of craze in the SUV segment. What makes it as one of the most desirable vehicles is the reason that it is a compact SUV with under 4 meter length. This will automatically help the company to place it in the affordable price range, which indeed lure many of the SUV enthusiasts. There is no doubt that it is going to be one of the high performing SUVs in the segment as it is coming with advanced engine specifications like no other vehicle in its segment. The Indian markets have already witnessed the tremendous success of Mahindra Quanto and Renault Duster in the compact SUV car segment and now it is time for Ford EcoSport to the segment to a new level. We have managed to give updates about this SUV constantly with the help of our trusted sources and now we have got the exclusive Ford Ecosport pictures that were spied ahead of its launch. According to our trusted sources, EcoSport will be launched in the month of March this year, which is just about two more months from now. However, there is no confirmation yet from the company sources regarding the official launch date. As predicted one of the Ford Ecosport was a petrol version that sports still rims and wheel covers. According to the sources, it was an entry level variant and it is expected to be priced less than Renault Duster. There were actually there vehicles one of which was a petrol variant but no information about the other two variants. However, the company's portal reveals that there will be a diesel version as well and hence we can expect that one of the other two SUVs will be sporting a diesel mill. It will be too early to predict Ford EcoSport features but many of them are expecting that the features of Ford Ecosport SUV will be technically advanced. The company is already selling this vehicle in the Brazilian markets and now it is set to introduce it in the Indian markets as an ideal alternative for the most popular Renault Duster. At present, Ecosport is probably one of the most awaited vehicle of all Ford cars in the Indian markets and it is all set to change the face of the SUV segment. The wait is just about few more weeks from now and hence, it would be sensible to wait for few more weeks before choosing any other SUV in the class. Moreover, its price is also expected to be very affordable and its mileage claimed by the company also seems to be very impressive. The wholly owned subsidiary of Honda, Honda Motorcycle & Scooter India has amassed popularity and reliability across India. Even after the separation with Hero MotoCorp the company stood out and started a fresh with its HMSI. Honda came to India in 2004 with the launch of a commuter bike Unicorn. Honda continues the success even in the scooter segment by unveiling the outrageous Activa. Honda Bikes are the third largest motor-cycle manufacturing giant which is steadily mounting up the ranks. The best part of the bikes is the technology which is world class. Honda Dio Features a perfect quality of suspensions as the front and the rear are both spring loaded hydraulic for a comfortable ride. The top speed of the new Dio is 78 km/h which is quite similar to Honda's other scooty's like Activa and Aviator. The new Dio sports foot-pegs for both the driver and for the pillion too to enhance comfort and safety. The storage capacity of Dio is not up to the mark as other models from Honda has much fuel tank capacity of 20 but this has only 18 litres capacity. As far as the tyre size is concerned the new Dio has made no progress and features the same 90/100 -10 mm wheels which was there in Activa and could not touch the mark of 12 mm. Honda Dio Price is Rs. 44, 700* (Ex-showroom Delhi). As far as the price is concerned it is really not high and in fact quite affordable. The braking system of the new Dio is very good because the CBS system, which is an advanced safety system, is used to ensure the safety. It has a 130 mm dia, drum the front and the rear brakes. The scooty shows an analogue speedometer and a fuel-gauge as well. The new Dio has an automatic gear system which serves a free flowing journey with no hindrance. Honda Dio Pictures a beautiful design of ergonomics with great style and superb looks. The scooty is available in only a single variant and in four vital hues like Pearl Yellow, Grey, Red and White. All the colours are lively and eye-catching. Honda Dio sports a 4-stroke, one cylinder 109 cc engine with the V-matic transmission. The air-cooled engine delivers the maximum power of 8 bhp at 7500 rpm and the maximum torque which it cranks out is 8.74 @ 5500 rpm. The new Dio is out with a dream mileage of 60 km/l on long revs however, on short revs the mileage falls down up to 40-43 km/l. The Honda represents the greatest of the international auto mobile maker's attempt to acquire the two-wheeler market and it has enthuse the bazaar big time. Honda Bikes after the split with Hero struggled to survive in the Indian market and launched many models one by one after 2011. Unfortunately, none of them could do well for Honda. Therefore, the company has come to its reliable model to do something for them and they have launched the all new Honda Activa RS with a bang. Honda Activa is a perfect piece of engineering as Honda has spent a lot of time and energy on making the gear less scooter perfect. There are some welcome changes in the new Activa considering the riders of metropolitan cities. The complete makeover of the tubular under born chassis. Honda Activa price is Rs. 47,188 (Ex-showroom Delhi). The price is quite competent and affordable. Honda Activa Features an outstanding range of suspensions to give you a relaxed ride irrespective of the condition of the roads. The front suspension is a bottom link with spring loaded hydraulic damper whereas the rear is unit swing with spring loaded hydraulic damper. The top speed of the scooter is 80 km/h which is fair enough to drive the speed-lovers mad. The reign of the top speed is grabbed firmly by enabling the scooter with a fine braking system. Both the front and the rear are 130 mm powerful drum brakes. Honda Activa is a popular scooter from Honda. The latest version of Activa has a 4-stroke, air-cooled 109 cc engine to power the scooter. The enough powerful engine dishes out a meaty power of 8 bhp @ 7500 rpm and the peak torque which it churns out is 8.74 Nm @ 5500 rpm. The new Activa from Honda manages to squeeze out a mileage of 45 km/l on city roads and on highways the limit might exceed up to 60 km/l. Honda Activa Pictures an analogue fuel gauge and a speedometer to keep you updated with every minor detail. As far as the looks and styling are concerned the new Activa is unique. The brilliantly carved scooter is a treat to own and a pleasure to ride. The Activa is available in five vital colours like Purple, Black, White, Red and Grey. All the colours are very catchy and grab the attention instantly. Here a new Acticva is waiting for you to give a riding experience you had never before. Finally the new Tata Indica Vista D90 has been launched in India with a starting price tag of Rs. 5.99 lakh. This new car is made available in two variants one of which is coded VX and other one is ZX+. The Tata Indica Vista D90 price starts at Rs. 5.99 lakh (for VX) and goes up to Rs. 6.83 lakh (for ZX+). All these prices are based on the Ex-showroom price in New Delhi. One would feel that the price of this new Indica is a bit expensive but one should look at the improvements in terms of features and technical specifications that completes the value for money. The company has also given its customers an option to customers to customize the exterior design or appearance of the car with top end ZX+ variant. This variant comes with body kit that includes redesigned bumper along with spoilers and more that gives a sportier look to the car while appearing like a premium hatchback car. It is certainly a premium hatchback from the interior as it will offer you luxurious interior space as well as features, which places the Vista D90 among elite club of premium hatchbacks. To discuss about the Tata Indica Vista D90 features, it is loaded with ample set of features that includes high end safety features like ABS with EBD and more. It also comes with automatic climate controls, GPS navigation system with audio and video controls along with Bluetooth and USB interface. Customers will going to love all the features included in this model. On the other hand, the car is now equipped with a 1.3 liter powerful Quadrajet that maxes out a power of about 88.2 Bhp and superior torque. 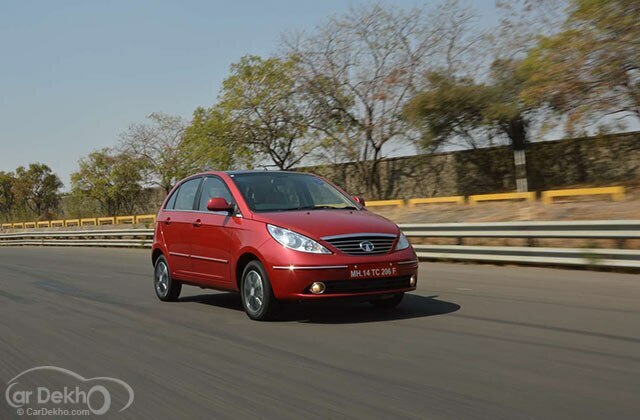 Initially the 1.3 liter engine of Indica Vista used to produce a power of just about 73Bhp of maximum power but now it has been improved to 88.2Bhp of peak power, which makes it one of the most powerful hatch of all Tata cars. When it comes to the styling, customers will get an option to customize this hatchback by choosing ZX+ variant. According to the Tata Indica Vista D90 pictures, the car has got sporty design bumper (ZX+ variant). It has also got the sporty design alloy wheels, which gives the car a complete sports look and its chrome grille gives it a premium touch. On the whole, it is the best car you can ever get for the price of just Rs. 5.99 lakh and moreover, it is the powerful hatch in its class. Hence, make a move now to the nearest Tata Cars dealers to get the quote and to place an order for the car. The german car maker Volkswagen is set to launch Volkswagen Jetta Hybrid car sooner this year in the global auto markets. Lava Mobiles are the innovation introduced by the Lava company which is one of India's mobile manufacturers with a list of countless smartphones which are of pocket friendly price and avails a considerable smartphone against the price. The company works for the people with low budget and insist on acknowledging new technology with feasibility and further providing it the the people of India. Similarly, Lava Xolo X900 was the one who appeared with Intel's Atom processor back in mid year and now Lava is back with a combination of Intel's new Atom processor, Lexington, and new handset in Xolo series X500. The device will be for sales in near future though it was announced in CES 2013. The Lava Xolo X500 features the Android Operating System's version 4.0 Ice Crem Sandwich though Android 4.1.2 Jelly Bean is the latest version although it is good enough to give a nice experience. The handset carries a 3.5-Inch TFT HVGA touchscreen display which presents a resolution of 480 x 320 pixels and also gives a play back of 1080p video, it means a full HD video. This is possible because of PowerVR SGX540 GPU which enables pleasing graphics and provides the user to experience nice clarity and adds more joy in playing games. The attained power, the variant gathers, is from the Intel's Atom Lexington Z2420 processor which runs at maximum speed of 1.2Ghz. It also enhances the overall functionality, makes it possible to work over more than one application at the same time, performance gets admirable and also reduces the consumption of battery. On the back, there is a 5 megapixel camera which can click 7 photos in a second during burst mode. Miromax A54 Smarty features with auto focus and also provides a 1080p video recording, i.e., a HD video. Dual SIM functionality is also among the features. 512MB RAM is given which helps in making the functionality better. For saving and carrying personal data 4GB memory is inbuilt for the user which can be extended up to 32GB through microSD card. Connection features like 3G network and Wi-Fi is also available to use speedy internet efficiently. Bluetooth is also installed for the variant to connect with other Bluetooth enabled devices. The handset packs a 1,500 mAh battery in its hood. The Xolo X500 price stands Rs 8,999 which is also available with the Xolo X500 pictures which are considerably appropriate in accordance to the overall specifications, features and all the functionality provided. Micromax A54 Smarty is the low-end smartphone segment which comes with some basic and decent features and a low price tag. Indian handset manufacturer Micromax mobiles seems to be on a launching spree with the announcement of launching 30 new devices in the country this year. And recently it added a new member to its Smarty series with the all new Micromax A54 Smarty which lately appeared on company's official site along with some e-commerce portals. This is the company's entry level device in the low-end smartphone segment which comes with some basic and decent features and a low price tag. If you are a first time Android phone user looking for a budget smartphone then this is surely an option worth considering. Micromax A54 Smarty pictures which have been rolling on the internet from quite along time are enough to suggest what will the device be like. It has a bar form body measuring 112.5x59.2x14.45 mm and weighing 102 grams which makes pretty short and slim. The Micromax A54 Smarty features a 3.5 inch HVGA capacitive touch screen which comes with a resolution of 320 x 480 pixels and the phone comes with only one 3.0 megapixel primary camera at the back. The camera comes with digital zoom but does not have a a flash or auto focus feature. It is also capable of some decent quality video recording. It comes with dual-SIM functionality and runs on Google Android Operating System 2.3 Gingerbread platform which though is pretty old as all the new devices come with Android v4.1 or above but one can run most of the available apps with the help of this OS also. This device is powered by a 1 GHz processor along with 256 MB RAM and 512 MB of internal storage but is also expandable upto 32 GB with micro SD card. And we must not claim it be anything good or bad for this is nothing new as most of the devices of this range comes with similar specifications. On the connectivity front it comes with bluetooth and Wi-Fi for wireless connectivity and with USB port also for quicker data transfer. The phone also supports GPRS and 3G connectivity. And ensuring that your entertainment never stops in between it has a 1300 mAh battery which gives a maximum standby time of 170 hours and a maximum talktime of 4 hours. Micromax A54 Smarty price in India as per some online portals is Rs. 4,659 and at this price it will compete with likes of Lava Iris N350, Karbonn Smart A2 etc. I want to share a story here that Samsung Galaxy Note 8.0 will come with 8 inch screen in the first half of 2013 in India. The fresh gossips about Samsung's strategy to add a new buddy in the Galaxy Note family were precise. As reported by our sources, J.K. Shin, Samsung's president and head of mobile communications, fortuitously approved that the company will bring out the Samsung Galaxy Note 8.0 during Mobile World Congress (MWC) 2013 event at Barcelona. The sources affirms to gather this information from Samsung's chief of Mobile Communications. Earlier the same sources had verified the bring out of Samsung Galaxy S3 Mini form the chief. So we can think to accept the news regarding Samsung Galaxy Note 8.0 The inside reports also tells that the company is planning to debut the new Samsung Galaxy Note 8 in the first half of 2013. Some new Samsung mobiles like Young Galaxy, Galaxy Xcover 2 and Galaxy Pocket Plus will also be enclosed besides the new Samsung Galaxy Note 8.0. The same sources state that the Samsung Galaxy Note 8.0 features which includes a HD friendly 8-inch super clear LCD display with a 1,280 x 800 pixels resolution and it will also support S Pen Input. The CPU will likely be a quad-core 1.6 GHz Exyno 4 mobile processor chipset which is based on four Cortex A9 cores. It is coupled with 2GB of RAM and with a 16 or 32 GB of integrated expandable storage via microSD. The new 8-inch Samsung Galaxy Note 8.0 tablet will run on Android 4.2 Jelly Bean will have S-Note, S-Memo, and S-Planner applications. Since the new tablet is a member of the Galaxy Note family it will also feature TouchWiz user experience on top of Android 4.2 Jelly Bean optimized for stylus interaction.The website also mentions the tablet will have the HSPA+ connectivity option. Bluetooth version 4.0, USB 2.0, 3 G Wi-Fi 802.11 a/b/g/n and A-GPS are the other connectivity alternatives inbuilt in the tablet. Other technical specifications list also includes a 4,600 mAh battery, 5-megapixel camera mounted at the back and a front facing 1.3-megapixel camera. The leak has revealed Samsung Galaxy Note 8.0 pictures on internet. Now comes the key element, Samsung Galaxy Note 8.0 price. If the new tablet comes with the above mentioned specifications then Samsung has to price the product very competitively. With Samsung Galaxy Note 8.0 the company aspires to defend the Apple iPad mini, Kindle Fire HD and the Asus Google Nexus 7 tablet in the market. Is Samsung Galaxy Note 8.0 bringing back styluses in fashion?? With the other competitors at the battleground does the features tempt the public enough to buy out the Samsung’s next Note device ?? All eyes and ears are on the upcoming event at Barcelona which is going to held in late February this year. Acer tablet revealed low priced Acer Iconia B1 tablet based on Android platform at CES 2013 in Indian mobile market. Samsung mobiles has completed it press conference on Jan 22 ,2013 and the Samsung Galaxy S III Mini it official now. Good news for all those looking forward to buy this should be pretty excited by now. The company announced this device back in October 2012. It has been in news for long time. The company hasn’t come up with any sort of TV commercial for this phone as long as we know. But the specs can be found on the internet. It has been a tough task for Samsung to rise in the electronics bazaar. Now that users know the company very well then they don’t hesitate in buying them. Sometimes they also buy a small sized touch phone by this corporate. Samsung Galaxy S III Mini Price is Rs 17,750. Some may call it a high price. This phone doesn’t come under Rs 10,000 value so many may complain. But it has been a record that the prices fall after 5 months of the release of mobile phones. So they can wait if they wish to. The device measures as 121.6 x 63 x 9.9 mm (4.79 x 2.48 x 0.39 in) and weighs about 111.5 g (3.92 oz). Not that heavy for sure. Many tablets are very large and they don’t fit into any pockets. If it really is a mini device then it will come in inside the pocket. Super AMOLED capacitive touch screen will make a better screen. It has been observed by us that CRT screens give strain to eyes while Led doesn’t. The screen size is 4 inches. We consider this to be acceptable. Various sound input and outputs are mp3, wav, 3.5 mm jack and loudspeaker. There are two types of internal memory 16 and 8 GB. Both are good enough. Connection can be made to different sources such as EDGE, GPRS and wi-fi. The camera is loaded with so many features such as LED flash, face detection, geo-tagging and touch focus. It is of 5 MP and front is a VGA camera. The Android version Jelly Bean impresses us very much. Though most version are same expect for apps and main screen. Several details are SNS integration, MP4, mp3 player, Image/video editor, Google Search, Maps, Gmail, YouTube, Calendar, Google Talk, Picasa, Voice memo, and Predictive text input (Swype). The above mentioned are some of Samsung Galaxy S III Mini features. The Samsung Galaxy S III Mini pictures reveal the cameras, LED flash and proximity sensor. The colors revealed are White, Blue, Titan Gray, Amber Brown, Garnet Red and Onyx Black. A nice curvy hand set. HCL Tablet was announced HCL ME Y3 tablet in Rs 11,999 in India. Currently, the Indian bike segment is crowded with the launch of entry level motorcycles from the most of the 2-wheeler manufacturers in Indian segment. India is one of the leading motorcycle market in the world and among this 125 cc segment is more competitive and largest. While the TVS bikes, in-order to take the game forward it revealed a entry level 125 cc bikes which is named as TVS Phoenix. On the other hand, the Bajaj Auto has also revealed its rich featured bike to its Discover line up and named it as Discover 125 ST. so let we have a comparison on these two new entries in the 125 cc segment. Due to the huge demand in this 125 cc segment, it will be a tough task to select a good bike which delivers good performance. The TVS Phoenix price in India has placed competitively in this segment and it is Rs 51,000 for Drum brakes version and Rs 53,000 for Disc brakes version. The Bajaj Discover 125 ST price is placed Rs 55,000 which is comparatively similar to the TVS bike. looking the features of these two bikes, it will be hard time to pick the best between these bikes since they both comes with similar power strain and price tag. In terms of performance, both the motorcycles are powered by 125 cc engines, but packed with quite different technical features. The 125cc Discover 125 features with a 4-valve, DTS-i engine which produces an output of 12.8 BHP at 9000 RPM and 10.78 Nm of torque at 7000 RPM. The TVS 125cc bike, Phoenix do better with a basic 2-valve motor which produces 11 BHP at 8000 RPM and 10.78 Nm of torque at 6000 RPM. So even at top speeds the Phoenix is almost vibe free, but when coming to the Discover bike it ensure vibrate as it reaches speeds excess of 85 kmph. The TVS Phoenix is also packed with exciting features includes Twin LED pilot lamps, Petal disc brakes, Aircraft inspired decals and Black alloy wheels. For better rider convenience,the motorcycle is also equipped with Duel spring suspension, fully digital instrument console, hazard lamps and engine kill switch. While the Bajaj Discover 125 ST pictures reveals that the bike is packed with all new instrument cluster, Mono-shock rear suspension, Petal Disk break, all new exhaust muffler, newly designed tank, all new headlamps, new alloys, anti-vibration frame, new seat, a new mudguard and an exposed O-ring based drive chain. The Korean manufacturer,Hyosung has launched Aquila GV650 PRO with price Rs. 4.99 lakh in the rapidly growing and developing bike market of India with great expectations. The bike which has always been a name of success for Bajaj Discover. The bike series looks over the traditional buyers who always prefer bikes which are fuel-efficient. For them, a bike should have a large mileage capacity that is why Bajaj keeps on using the Discover series with some changes. Recently , the maker has unveiled their new sensation Discover 100 T. the bike is the most technically sound and advanced 100 cc motor-cycle in the Indian bazaar. Bajaj Bikes are known for their fuel-efficient quality and something that aids more to the feature rich bikes is the use of the patented DTS-i technology. The blend of these two enable the bike fulfil the expectations of the bike fans. Bajaj Discover 100 T Pictures a splendid creation of ergonomics. However, the bike is not so ahead in design than its core Discover siblings but it has one of the other features which give the bike an unique touch. The commuter is available in four vital hues like Black Blue, Brilliant Blue, Red Black and Flame Red. Bajaj Discover 100 T features a perfect range of suspensions as the front has a telescopic forks while the rear is a nitrox shock absorbers. The top speed which the bike claims is 100 km/h which is enough to turn the bike lovers crazy. The top speed of the bike is kept under control by enabling the bike with the 130 and 110 mm front and rear braking system. The latest bike adduces a quick acceleration as well with 0-60 in just 10 seconds and becomes the fastest 100 cc bike of India to buy. Bajaj Discover 100 T sports a 102 cc, 4-stroke, air-cooled engine. The new bike with a DTS-i advanced technology dishes out a meaty power of 10.1 bhp @ 9000 rpm. The peak torque which the bike cranks off is 9.2 Nm at 6500 rpm. It shows a 4-speed gearbox with one down and and rest of the gears up. The shifting is smooth and effortless. 87 km/l is the mileage of the new Discover 100 T on highway whereas the bike squeezes out the mileage of 65 km/l in City which is a terrific one and not proposed by any bike around the planet. Bajaj Discover 100 T price is Rs. 50, 500 * (Ex-showroom Delhi). The price is slightly high but not without reasons. The bike has a lot to offer and the feature-rich nature of the bike is the SUV of the bike. The new 100 T makes a pitch of more other than any of its rivals. In order to continue its race in the world's sports bike segment, KTM 390 Duke will be expected to launch in mid 2013. HCL Tablet was announced recently as stated by some sites. We haven’t heard of this company in tablet bazaar before. Now that it will release HCL ME Y3 which could be a great device. If this device matches the sensation of HCL laptops then it will also sell in huge numbers. The buyers may not be aware about the current launch of tablet by this company. If the users respond positively after using this device then the news will spread. This tablet will have a dual SIM as many dual SIM mobiles have been sold successfully. Many think of other leading companies when it comes to tablets and don’t wish to switch companies. So if the device works well then users will definitely buy this. HCL ME Y3 price is Rs 11,999. But we found that some websites are selling it for Rs 21000. So better buy from the right online market. The price variation may also occur when you buy it from local stores. But until then online shopping would be a better idea. HCL ME Y3 Features are 7 inch screen and multi touch. This is a really good size. And 1024 x 600 pixels resolutions will give really clear pictures. We think that smart tablets are also being lanced. There is a 1 GHz processor and 1 GB RAM. We must say what a great combo. All those gaming geeks it’s a good package for you people. The android is ICS which is a bit disappointing as recent versions are also available. But ICS would also be fine as all android have same linux based OS. There is inbuilt memory of 8 GB expandable to 32 GB. We almost love the size of internal storage with respect to the price tag it holds. The camera may be a bit disappointing a rear 2 MP and front 0.3 MP. But two camera will support 3g calling so why expect more. Connection options are 3G HSDPA 7.2Mbps, WiFi 802.11 b/g/n, Bluetooth v4.0 and mini HDMI. Some other known features of HCL ME Y3 Tab are GPS navigation. And other map apps like google maps. Wi-fi connections can also be made if you have a hotspot nearby. The HCL ME Y3 pictures show a great device. There is a wide screen and a front camera at the center. At the top of the device there is the charging input, 3.5 mm jack and some other input. Acer tablet revealed its low priced tablet Acer Iconia B1 based on Android platform at CES 2013, first Acer tablet to be released in Indian mobile market. Acer tablet popularly known for its Iconia series Tablet, revealed its low priced Tablet based on Android platform at CES 2013 and entitled it as Acer Iconia B1. This is the first Acer tablet to be released in Indian mobile market which is already occupied with some of the Tablets which are manufactured domestic producers of India. The device seems to have an appropriate chance to give its company a great response and can make a nice position in market in future within the Tablet segments. The low budget tablet has some trending features too. The Acer tablets are not new they are dealing with Tablets since 2010 as their first Tablet was released in November 2010. So there is a huge probability of the device to give a nice competition to domestic companies Micromax, Spice, Karbonn and other who produces Tablets with the motive to keep emphasis on people whose wants cannot be met in low prices. But these companies make it possible and provides them a very nice handset with most reasonable prices. The Acer Iconia B1 features 7-inch WSVGA capacitive multitouch screen display with 1024 x 600 pixels resolution, big enough to give better visual experience. The device has nice power support with the Mediatek 8317T dual-core processor which runs at a speed of 1.2GHz which gets better with a 512MB RAM. Also the Android 4.1 Jelly Bean which is the latest running Operating System and also provides a much better functionality than the old versions. Tablet is provided with an internal memory of 8GB expandable up to 32GB with a microSD card enormous capacity to store huge amount of personal data. It lacks rear camera but front facing VGA camera is available for clicking images, shooting videos and for video calling. This low priced contains all the smart features in Acer Iconia B1 like Wi-Fi, Bluetooth, GPS and microUSB port for connecting to different portals and enhancements. The measures of the device dimensionally are 197.4 mm x 128.5 mm x 11.3 mm with a weight of 320 grams. The device comes with a Non-removable Li-Po 2710 mAh battery which gives a nice support to the Tablet. The Acer Iconia B1 pictures are pleasant enough to give a watch on. The Acer Iconia B1 price is Rs 7,999 which is quite reasonable deal although the device does not support voice calls. It is undoubtedly a decent tablet with a nice functionality and a low price tag. LG mobiles launched LG Optimus G Pro with 1.7 GHz processor and 13 MP camera in India. Karbonn had again opened its magic box by launching its one more powerful Karbonn tablet at affordable price points that is definitely valued by customers named Karbonn Smart Tab3 Blade. After gaining lots of popularity in smartphone segment the manufacturing company has now launched a new ultra cost tablet which will be a big competitor to other low cost devices such as Micromax Alpha and Datawind UBI state. Karbonn Smart Tab 3 Blade tablet features a 7 inch capacitive touch screen display with a smart display resolution of 480 x 800 pixels. The slate does not come with a rear camera, but users will be able to take advantage of the 2-megapixel front-facing camera for capturing photos or making video calls. The widget is equipped with pre-embedded applications like Karbonn Smart Browser, Karbonn Smart games, Facebook, TOI & ET app and other applications which might cheer the tech enthusiasts. The tablet comes equipped with internal memory of 4GB which can be expanded up to 32GB with the help of a microSD card. The Smart Tab 3 Blade is loaded with a 2,600 mAh Li-ion battery which offers 4 to 5 hours usage on Wi-Fi and around 7 hours of Internet browsing, 8 hours of video playback or 25 hours of music playback. For connectivity, the device supports HDMI, 3G via dongle and Wi-Fi 802.11 b/g/n. Karbonn Smart Tab3 Blade is a smart tablet that keeps you away from using a computer and allows user to surf the net anywhere and everywhere. User can use this tablet at ease as it has a hard glass screen which is protective. The smart tablet is able to store more pictures, movies, and your documents too and users can easily carry it with themselves as its light in weight too. The device has dimensions are 192 mm x 122 mm 10.5 mm in length, width and height and weighs only 225 grams. Karbonn Smart Tab 3 Blade pictures reveal that it is an extremely incredible tablet with all the exciting and new features at a very affordable price point that is never tagged for any other tablet till date. The smart widget supports Android Ice Cream Sandwich operating system complemented with a powerful 1.2 GHz single core mobile processor. The tablet is equipped with 512 MB of RAM memory which can easily handle daily tasks and gaming well. As discussed, the manufacturing company has tagged Karbonn Smart Tab3 Blade price with a very reasonable price of Rs 4990. Indian car market have been flooded with all the new cars in the market and we all know that this amazing year 2013 will bring many more cars in the country so if someone wishes to purchase a new car then he will be having a vast variety of choices available in the market, and especially when it comes to the compact sedan car market. At present Maruti Swift Dzire is the ruling car in this particular segment from Maruti Suzuki India Limited. And we all know that upcoming Honda Brio Amaze the first ever diesel car in the Indian market by Japanese auto giant. All the car enthusiasts all over the country are going crazy about this upcoming first diesel car from Honda motors. Another upcoming compact sedan in the country is Chevrolet Sail sedan from the American Manufacturer, Chevrolet Motors which is also an subsidiary of General Motors a well known auto brand all over the world. Last year in November 2012 company has already launched the hatchback version of this amazing car, Chevrolet Sail U VA. Although car was not a pretty much success in the market but it is expected that the sedan car version of this amazing car would prove to be a great success and a good contender to Maruti Swift Dzire, even to other compact sedans available in the market like Toyota Etios, Tata Indigo CS. Now if we take a look at this upcoming sedan from the American auto giant then at first, Chevrolet Sail price will be tagged at Rs 6 lakhs ( approx) although no official details have been announced yet. Recently company has placed a countdown timer on the site, according to which this Chevrolet Sail will be launched in the Indian car market after 8 days that means around 1st February. Lets take a look at Chevrolet Sail pictures, we will notice that this amazing car is equipped with a an amazing good looking bumper featuring small fog lamps on it, the upper grille of the car is having a single split and nicely placed Chevrolet’s golden emblem on it. Now lets talk about the power and performance of this amazing car then, Chevrolet Sail Specifications are as follow, heart of the car is blessed with 1.2 liter S TEC II engine, there is also an option of 1.4 liter S TEC III engine. Both of these engine will be performing good. Car can accelerate from 0-100 in just a time gap of 12.9 seconds with 1.2 liter engine option and in 11.9 seconds with 1.4 liter engine option. 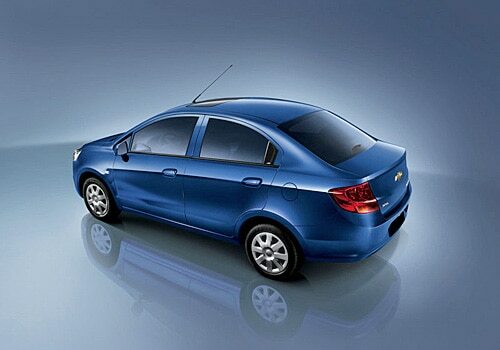 Some Chevrolet cars already running on Indian roads are Chevrolet Cruze, Chevrolet Sail U VA. The German luxury car maker Volkswagen is set to launch its Volkswagen Jetta Hybrid car sooner this year in the global auto markets. Baja auto major, India is known for introducing impressive scooters with advanced styling and graphic shades. With its all niche products, the bike maker has to be the country's second largest two-wheeler maker and legendary scooter manufacturer. Earlier, this manufacturer has started its journey with the innovative scooters like Baja Chetak and Priya which are to be one of the most popular and successful scooters till date. But, with the launch of the scooter like Kristle and Wave, the Bajaj motors has also tasted the failure in the last few years. In order to regain its first position, the company is coming in with a new scooter in the Indian scooter segment and dubbed as Bajaj Blade 125. Great thing is that the two wheeler comes with a 125 cc engine and it is to be a unisex bike offering great performance. Till date there is no official words regarding the scooter details, but the impressive Bajaj Blade 125 pictures are rolling on various online automobile portals. According to some reports, the Bajaj is not planning to launch this new Blade 125 concept the Indian scooter segment anytime soon. Due to the huge craze about the Motorcycles, the Bajaj bikes India, is much concentrating on the motorcycle segment and the consumers has already seen the spy pics of upcoming Bajaj Pulsar 375. The images of this scooter reveals that the two-wheeler is packed with enticing features includes front telescopic shock absorbers, 12 inch wheels, digital instrument cluster, front fuel filling, front disc brake and electric start. Expected to provide high performance as the scooter will be powered by a 125cc-air cooled four stroke engine which is mated with a 4 valve head. The engine will be also mated to a CVT transmission and to assure safety features the consumer can expect the DTSi treatment to be added to the scooter specifications. The Bajaj Blade 125 features with a tank capacity of 14.5 liters which is expected to be very comfortable for long distance riders. Till date there was no confirmation regarding the Bajaj Blade 125 price in the India but the company will place it with an affordable price. The Bajaj Auto major along with delivery of great products, they also keep the prices under check as well. If the bike will be launched in this segment, it will sure give a great competition to the other 125cc scooters in India including Piaggio Vespa LX125, Mahindra Duro, Suzuki Access and Swish. Since from last year, the Indian scooter segment is increasing rapidly with the introduction of Vespa LX125 premium scooter from Piaggio. Huawei has silently announced a new handset on their website, a new entry level phone named Huawei Ascend G510. Huawei has perfectly manufactured this device with a very simple design but its features are helpful to keep you in touch with people in your life. This is the best cheap phone edition, in Ascend series of Android and Windows phone segment, made by Huawei mobiles in its rich collection. Huawei Ascend G510 features a 4.5 inch IPS display with a WVGA resolution 854 x 480 pixels as its strong point. Other strong features available in the device includes 5 megapixels rear camera with a camera resolution of 2592 x 1940 pixels which capture video upto 30fps. The mobile phone is also equipped with VGA front facing camera for video calling. Such a good quality camera in entry level phone is found in very few devices. The device also facilitates to set video's white balance modes from automatic to fluorescent, incandescent, or daylight. 1700mAh battery is powered in Huawei Ascend G510 which strictly delivers a good battery life of 670 hours standby time and 7 hours 30 minutes talktime or 36 hours continuous music playback. The handset offers 4GB internal storage memory with a microSD card slot available to extend the external memory upto 32 GB. For this device Huawei promises to make web browsing easy, quick and cheaper, with compressed pages for faster downloads and only cost lower data charges. The device 134 x 64.7 x 9.9 mm in length, width, height and weighs 150 grams. For connectivity, the new smartphone from Huawei has Wi-Fi IEEE 802.11 a/b/g/n, 3G , 2G, Micro USB, 3.5mm stereo audio jack and Bluetooth v4.0 with A2DP enabled. Huawei Ascend G510 pictures are also eye catching to customers, looks like it is very comfortable to hold and can be easily carried. This mobile phone also has a good command over noise control as it is equipped with audio quality of Noise 82.1db and Crosstalk 80.7db. The widget will be available in market with only one color option that is Black. Huawei Ascend G510 runs on android 4.1.2 jelly bean operating system. Huawei Ascend G510 powered by dual core processor that is embedded with Power VR SGX 531 graphic processing unit. The left edge of the device has the MHL-capable micro-USB port complemented with a headphone and power button, both found on the top of the device. Stunning device back side houses, the very prominent camera that is accentuated by a silver ring around it which make the device more noticeable. Huawei Ascend G510 price in India will be Rs 14,990 which is an affordable price with all the features available same as in high range mobiles. Volkswagen Jetta Hybrid disclosed, coming soon! The German luxury car maker Volkswagen is set to launch its Volkswagen Jetta Hybrid car sooner this year in the global auto markets. This is one of the most advanced vehicles of Volkswagen cars till date and it comes with a combination of petrol engine and electric motor that powers the car to deliver exceptional performance and delivers superior mileage. As soon as the company announced this vehicle, it has got the tremendous response from the auto industry and from the car enthusiasts as well. 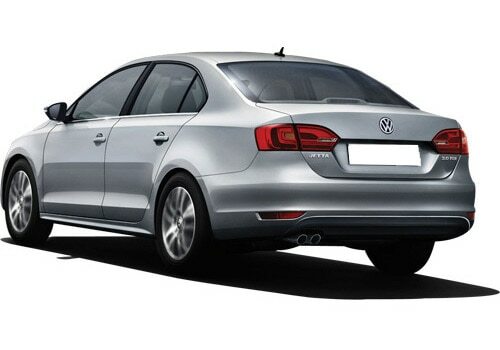 This Volkswagen Jetta Hybrid model has been unveiled at the auto expo held in Detroit 2012, where it caught the attention of many car enthusiasts. Now let us discuss about the specifications of this new vehicle that comes equipped with two power houses one of which is 1.4 liter turbo charged petrol engine with petrol fuel option and the other one is a 20kW electric motor. The combination of both these power houses will produce whooping power of about 170Bhp, which is more than what you can get for a 1.4 liter engine. On the other side, its 20kW electric motor produce a power that allow the car to reach a maximum speed of about 70Kmph, which explains everything about this car. According to the company sources, this new car reduces the fuel consumption by up to 20%, which is stunning. The company has disclosed this Jetta Hybrid at Detroit Motor show but hasn't disclosed its exact price tag. Volkswagen Jetta price will be announced soon after its official launch and hence, car enthusiasts will have to wait for few more days before the company officially launches it in the markets. At present, there is no information about the Volkswagen Jetta features but they are expected to be highly advanced as its specifications. One should really look at the stylish appearance of this car that can easily grab your attention. 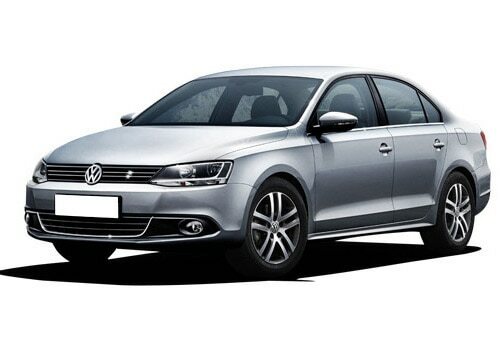 It has got stylish grille with chrome bars with integrated Volkswagen Logo. The headlights design is very aggressive but stylish that suits to your lifestyle. Its rear view is also equally impressive as its front view that explains everything about the car. Volkswagen Jetta Pictures provided by the company looks to be fabulous and thus, you need not have to worry about its styling. At present, the company officials are still in doubt about the official launch date of the car but it is expected to come by third quarter this year. Thus, it is still a long wait for the car enthusiasts but seems to be worthy. One should look at the advanced specification that reduces the liquid fuel consumption that saves a lot of money in the wallet. Korean manufacturer SsangYong motors recently launch Mahindra SsangYong Rexton, an amazing SUV car in Indian market, price is expected to be tagged around Rs 15 lakhs. In order to continue its race in the world's sports bike segment, the KTM and Bajaj has revealed a new Duke model at the EICMA show, Milan. The new version bike is christened as KTM 390 Duke and it seems to be is a naked, sporty street bike which comes with a flamboyant and aggressive styling. The looks of the 390cc Duke is similar to the other small capacity bikes in this Duke lineage. The reports also stated that the new version bike will also built upon the same platform of the other KTM bikes. Till yet, there is no confirmation regarding the KTM 390 Duke price and release details, but it is expected to hit the Indian bike segment by mid-2013. Even, the sports bike looks like a fairly road going bike, but it even performs well on off roads as well. The latest rumours regarding this bike confirms that the sport touring vehicle can be priced in between Rs. 2 to 2.2 lakhs on road. The KTM Duke 390 pictures are currently available on company's official sites in all 360 degree angles. The device comes with a 374 cc displacement mated with a Single-cylinder, 4-stroke, spark-ignition engine, liquid-cooled engine. The powerful engine of KTM Duke 390 is capable to provide a maximum power of 44 BHP at 9500 rpm and a maximum torque of 35 Nm at 7250 rpm. The bike is packed with a claw shifted 6 speed transmission system for better rider convenience. The ignition system is mated with a fully electronic ignition system with digital ignition timing adjustment. For long ride the motorcycle is packed with brilliant liquid cooling system with continuous circulation of cooling liquid with water pump. Looks stylish as it is packed with a tubular space frame made from chrome molybdenum steel with powder-coated. The rider will ensure a sporty riding posture with its upright seating position. For smooth ride,the KTM 390 Duke features with a fat upside-down front forks along with an aluminum alloy swingarm and monoshock rear suspension. The brake system is well designed as the front end comes with disc brake with four-pot brake caliper while the rear comes with disc brake with one-pot brake caliper, floating brake discs. It also comes with ABS braked system for high safety features. The ground clearance of this bike is around 170 mm and the seat height is to be 800mm while unloaded. The total fuel tan capacity of this sports bike is to be 11 liters which will be good option for long ride lovers. LG Mobiles the so called underdog in mobile market has come up with a new phone. We expect the phone to be out by month of April this year. It is named as LG Optimus G Pro. Pro generally represents professional. Lets see how professional this device really is. It is of 5 inches so we can definitely find huge screen. A big screen for a touch device is always good. We recommend that such phones should be kept inside a cover so that the screen works well. LG has also caught up with the smart phone trend and loaded Android OS in this phone. LG Optimus G Pro Price is not yet known. But we expect that would be out soon. As the phone has not been launched in any other country so we can’t tell any approx range. Lets hope the price is under Rs 10,000 and 15,000 range as the company doesn’t have a good history of mobile phones. LG Optimus G Pro Features are 1.7 GHz processor and 13 MP camera. The processing speed is very fast. There are many apps such as NFC and many EA games have such hardware requirements. It looks like they already knew about the processing speed the latest models would have. So this is a suitable phone for gamers. A 13 MP camera looks like the company wants to match the MP count of a digital camera. There is 2 GB RAM. Well that’s double the value of many leading smart phones. Up till now we can assure that it will be almost perfect under specs column. The internal memory is of 32 GB. All movie requirement and app requirement of the user will be fulfilled. At least for the memory the user won’t complaint. There are many other details that are not yet out but we can count for improvements and it has gone beyond our expectations. LG Optimus G Pro Pictures show a great display. The photos are available everywhere but the device details are not out. This is usually for market advertising. On the front side we can see back , home and apps button. There is no front camera as seen in the photographs. You can check that in the photos. On the back side of the phone there is the camera and LED flash is also recognizable. There is also a loudspeaker on the backside. I shared a story that Huawei Ascend will come with dual core processor in India after quarter of this year. Micromax Mobiles are building their trust slowly and gradually with their smart phones and phablets. 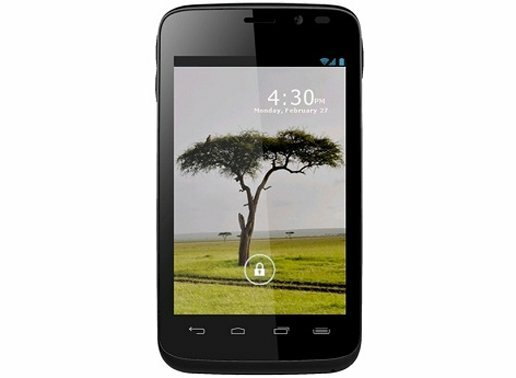 Latest handset Micromax A110 Canvas 2 gave the company a new standard rendering the sale of 5500 handset in a day. The handset is still concurring hearts seeing this Micromax is ready to launch its successor which is much contains more functionality, more power and is more beautiful. The new Micromax A116 Canvas HD is a highly featured phone which will take Micromax to a new level and will be crossing the limits of their handset over Rs 10,000. This new handset is going to present a new destiny to Micromax mobiles. The variant will be standing as a competitor of Samsung Galaxy Grand which is already launched with Samsung's high tech features and specifications with a MRP of Rs 21,500, so for the market the device price will be around Rs 18,000. The Micromax A116 Canvas HD features more powerful quad-core Cortex-A7 CPU which is clocked at 1.2GHZ and comes with a MediaTek MT6589 chipset. The variant sports a 5-inch IPS LCD capacitive touchscreen display with resolution of 720 x 1280 pixels and 16M colors. The display gives nice clarity with 249ppi pixel density. There will be a run of latest and the most efficient Android version 4.1 Jelly Bean which will surely get its update in future. This Android comes with Google's Project Butter which brings a better and smoother User Interface, which will come along Google Now, a better camera interface etc. Providing the perfect experience of gaming and HD videos there will be PowerVR Series 5XT GPU behind this excellent functionality. For further support the handset accommodates a 1GB of RAM with internal memory capacity of 4GB, with a microSD card slot to extend the capacity up to 32GB. To make the device a bit safe there is a glass layer for protection of the display. The device contains a 8MP camera at the rear with LED flash, auto focus, Geo-tagging, touch focus and face detection. A secondary front facing VGA camera is also present. The variant connects 3G network, WiFi for blazing internet speed. For transferring files of mass data microUSB 2.0 is available and for media files transfer from one phone to another Bluetooth v3.0 is installed. The Micromax A116 Canvas HD pictures are pleasing enough. This high end class phone, the Micromax A116 Canvas HD price is around Rs 15,000 which seems to be a high range according to Micromax level but features are appropriate according to its remarkable functions. Samsung mobiles has finally summed up Samsung Galaxy Grand with Latest Android OS in January 2013 and expected to be big hit in Indian mobile market. Its the time for different companies to enter the Indian car market, recently the French auto giant Renault motors made its entrance in the Indian car market and is pretty much successful too. Now the another company is SsangYong motors it is an Korean manufacturer. Company had already launched one of its car Mahindra SsangYong Rexton but now after the success of the amazing SUV car company has planned to launch its another car Mahindra SsangYong Korando in the Indian market. Although car was showcased with Rexton at 2012 New Delhi Auto Expo, but till yet nothing have been officially confirmed by the company yet. 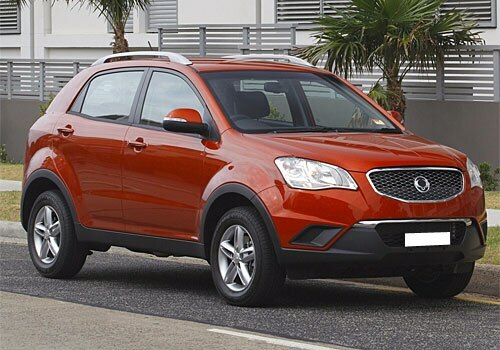 At present Mahindra SsangYong Korando price is expected to be tagged around Rs 15 lakhs. If we take a look at power and performance of this amazing SUV then we will find that, Mahindra SsangYong Korando features 2.0 liter turbocharged diesel engine which will be capable enough to deliver the power of 173bhp @ 4000rpm with a peak torque of 360Nm @ 2000-1000rpm. Car also comes equipped with six speed automatically transmitted gearbox, but for the Manually transmitted gearbox lovers car will still come with six speed manually transmitted gearbox. Car is also available with the option of all four wheel drives in the market which makes this car best for the rugged and muddy terrains. 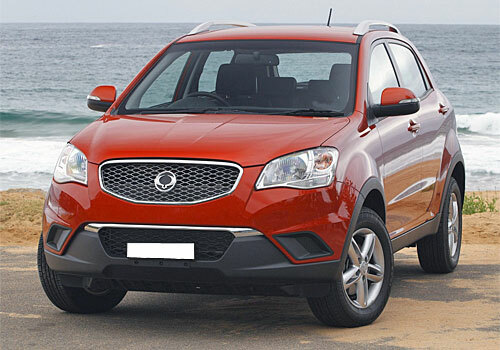 If we take a look at Mahindra SsangYong Korando pictures we will notice that car is equipped with amazing exteriors. On the other hand another by the company which is already running on the Indian roads are Mahindra SsangYong Rexton this amazing car is tagged at a price range of Rs 18.80 lakhs for the base model of the car which is RX5 and another model of the car is tagged at a price range of Rs 20.22 lakhs for Rx7. Heart of this amazing car is blessed with superb 2.7 liter diesel engine which is having a displacement of 2969cc. With such an amazing engine car is capable enough to produce the power of 165bhp @ 4000rpm with a peak torque of 3339.39Nm @ 1800-3250rpm. Now what we expect from this SUV is an amazing acceleration, and well good enough to say that this amazing SUV is also providing a good acceleration and car can run from 0-100 in just a time gap of 11.6 seconds which is pretty good for such a big and bulky car, with a atop speed of 181 kmph. Most popular Mahindra cars running on Indian roads are Mahindra Scorpio, Mahindra Xylo. Mahindra Reva E2O is all set to make its entry to the markets, it is India's first and most viable electric car. HTC One S finally updated to Jelly Bean OS.